Today I have a card I made for my husband for our anniversary last week. 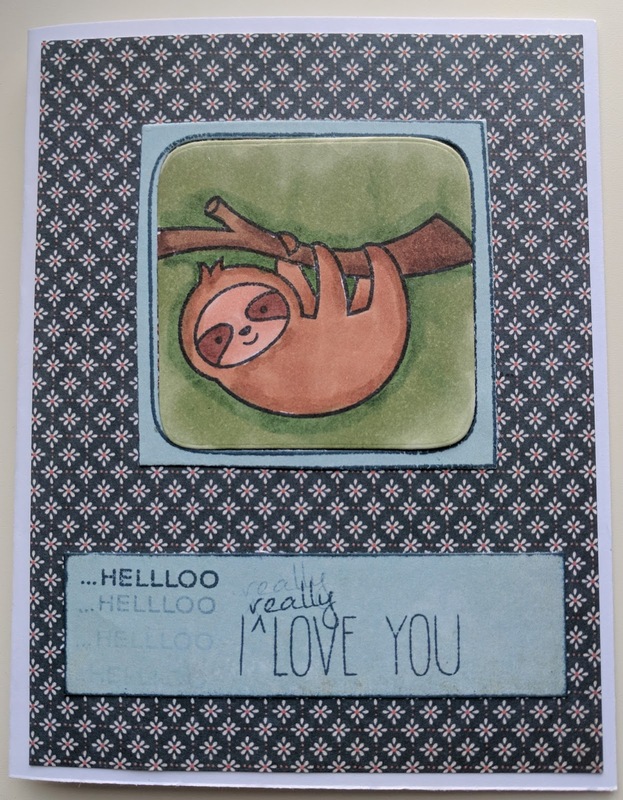 I started with the sloth as it is a favorite animal of my husband. I colored him with Copics. I'm not a great with them and haven't used them in awhile and it shows, but it works I think. I put it in a frame so it looks like we saw him in a zoo. 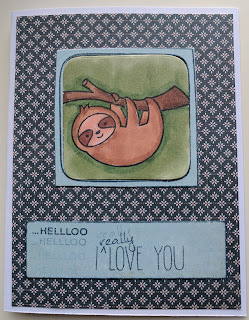 I wanted to do this echo effect with the greeting so I inked up the hello and stamped it 4 times down the 1in sentiment strip and ^really is done twice, but it didn't photograph well.